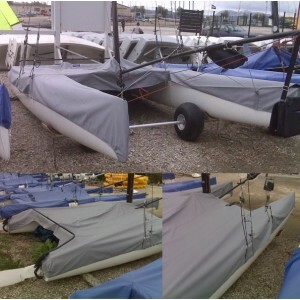 We propose a full range of jibs for catamaran with direct prices! 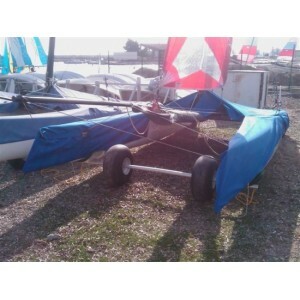 You will find in this section many references compatible with your Dart, Hobie Cat or again Formula 18 with a full batten model. 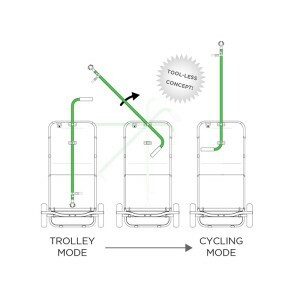 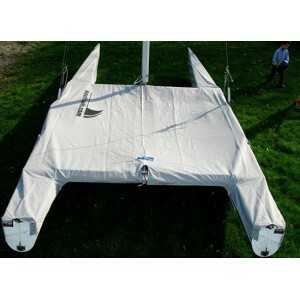 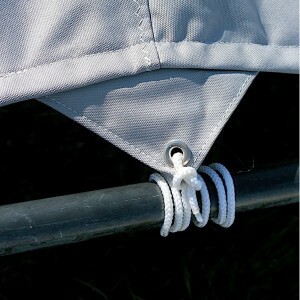 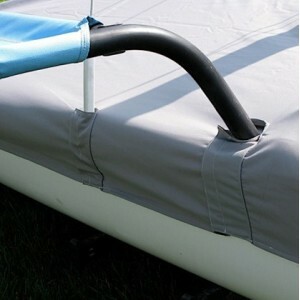 Made in dacron or reinforced laminate cloth, with or without battens to use with a furler, provided with a stainless steel cable or a zip to the luff, they are 100% compatible with the mentioned boats. 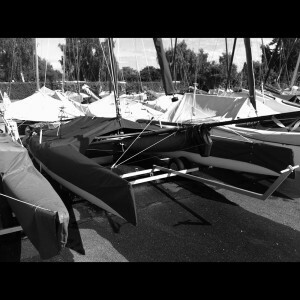 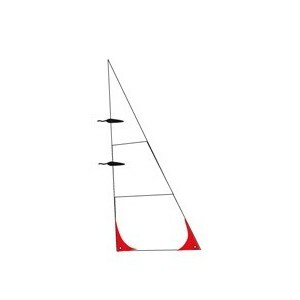 - Battened jibs : some of them have short battens on the leesh and others are full batten (Hobie Cat 16, F18 Tiger). 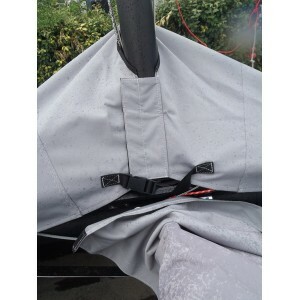 For these ones we use flexible battens (not with tensioners, too heavy and not adapted to a jib) and the sleeves are locked with a Velcro system easy to use and the battens are not longer than the sail, they will not go in the mast and halyard ! 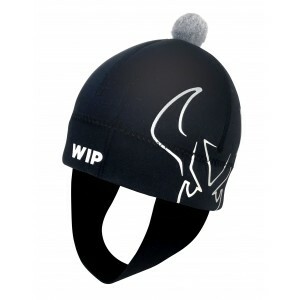 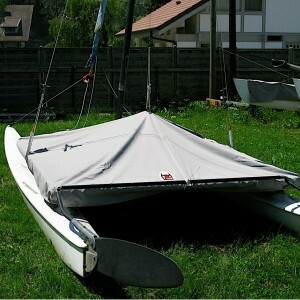 - Cloth : we use different cloth adapted for our jibs : white Dacron or laminate cloth, to improve both performance and look (shiny sails, transparent for some of them). 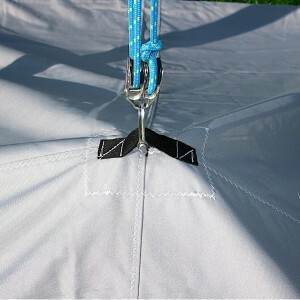 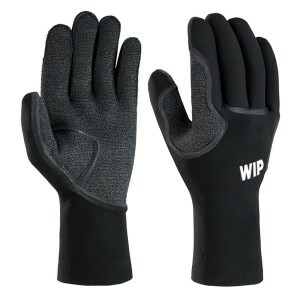 These different cloth are strong enough and treated against UV. 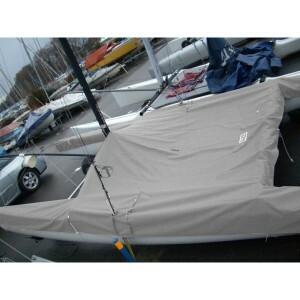 FORWARD will help you to give a second life to your sport catamaran, getting more pleasure to sail on a transformed boat both in look and performance, and almost with a limited cost ! 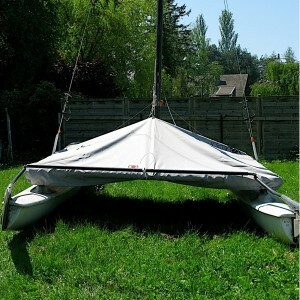 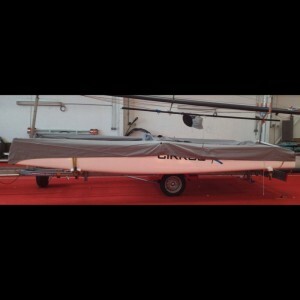 Compatible Jib for sport multi-hull Hobie FX -One .